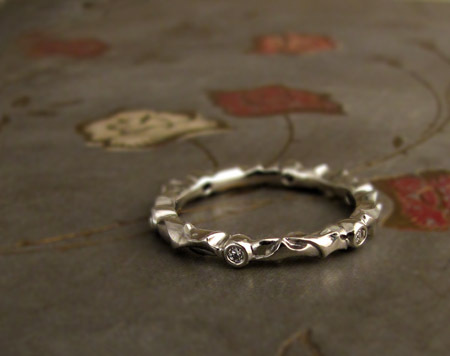 New eternity band!! 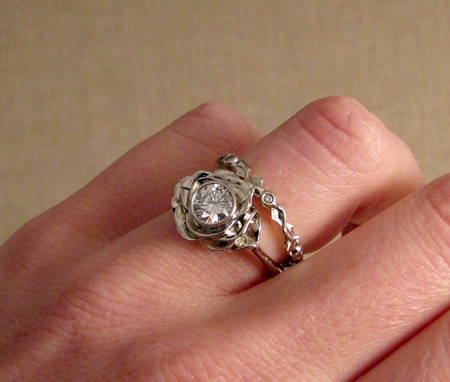 This one has an abstract thorny motif with six little 1.5mm diamonds all the way around. I think it has something of a midcentury thing going. I didn’t plan it that way, rather just sort of started carving away and the design took shape as I went. 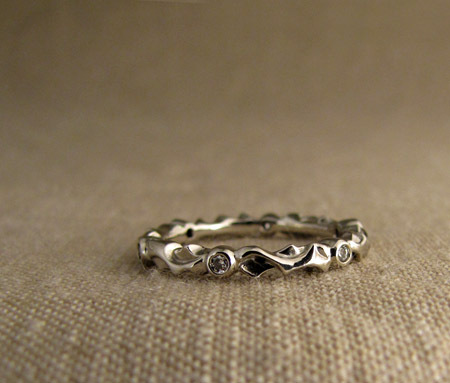 I think this would be an excellent accompaniment to my rose motif solitaires and bands..